Met E27 socket in verband met compact flitsen. 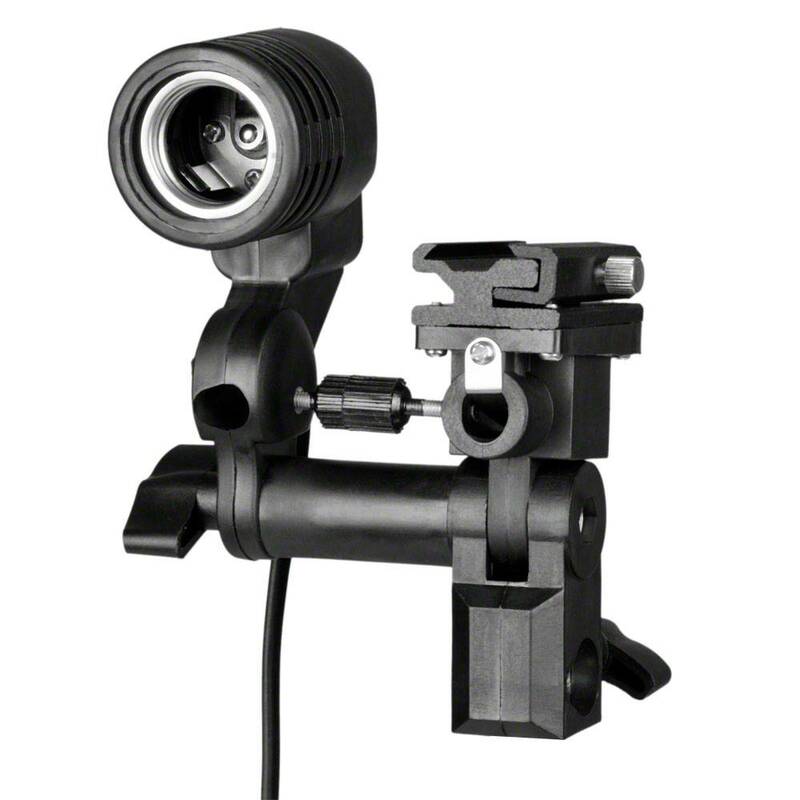 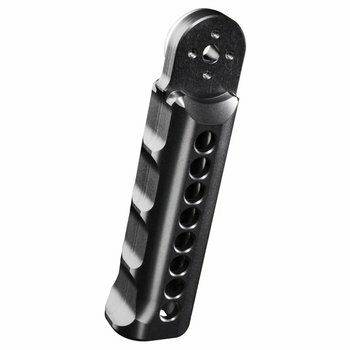 The umbrella holder for a sync flash is ideal for all sync flash lamps and spiral lamps with E27 socket up to max. 250W. 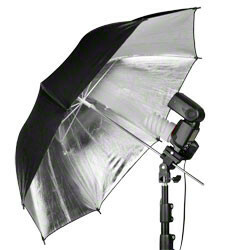 It can be rotated by 360° and tilted by 180°, and is therefore extremely flexible. 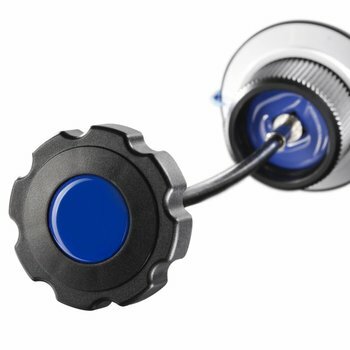 The on and off switch is located directly on the body. 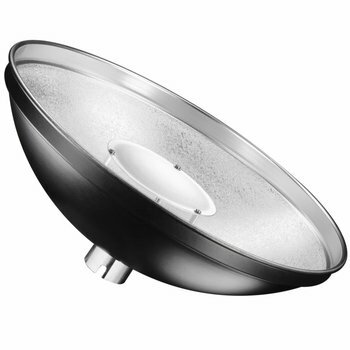 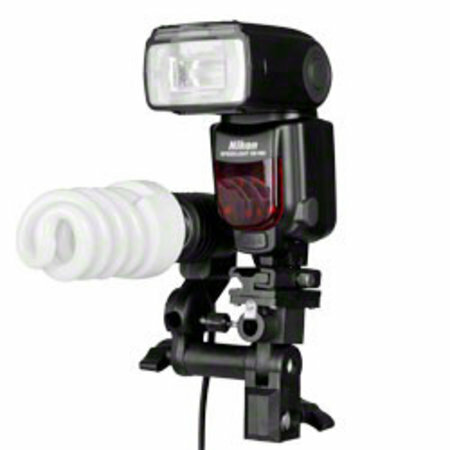 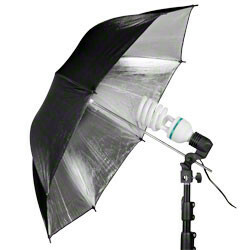 When you are working with a compact flash, the lamp holder is ideal for mounting a spiral lamp as a modeling lamp.